How to watch The NSU-Complex (2016) on Netflix Finland! 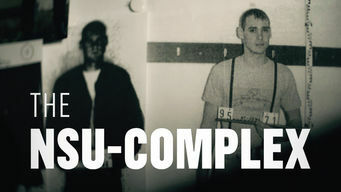 Yes, The NSU-Complex is now available on Finnish Netflix. It arrived for online streaming on October 4, 2017. We'll keep checking Netflix Finland for The NSU-Complex, and this page will be updated with any changes. For 13 years, the underground neo-Nazi organization NSU eluded German police while planting bombs, robbing banks and killing immigrants at random.